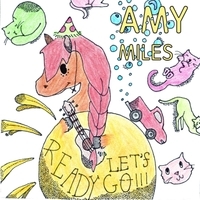 A heavenly poppy and family friendly album from Amy Miles. Enjoy. Amy Miles is a performer and composer based in Brooklyn. This is her first family album.